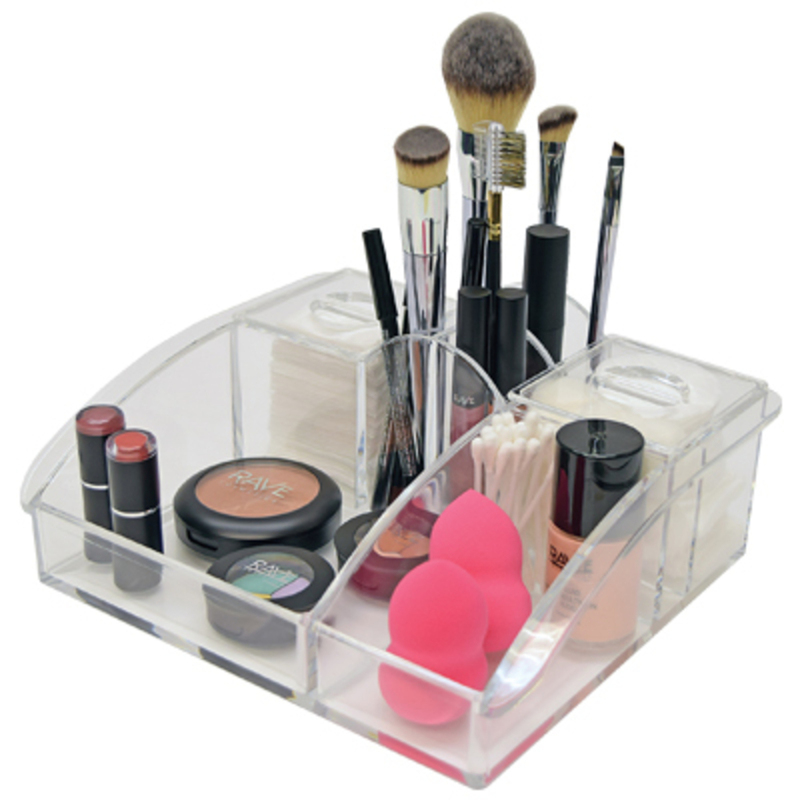 Clear Acrylic Organizer / 4"H x 10"W x 8-1/4"
Conveniently stores cosmetics, cotton, beauty tools, and accessories while allowing items to stand upright. 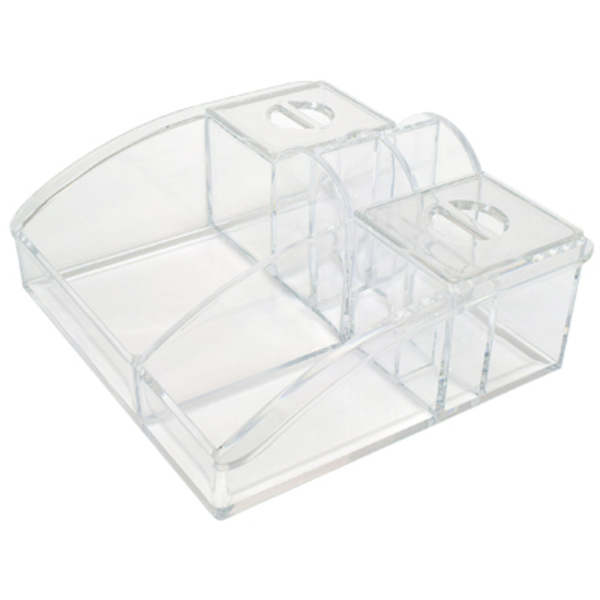 Clear acrylic makes items easy to find. Measures 4"H x 10"W x 8-1/4"D. Items shown in organizer not included.